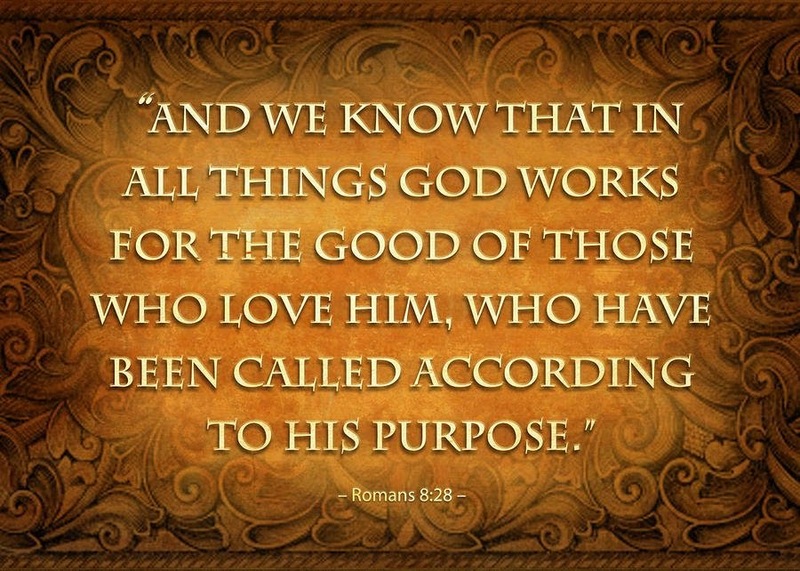 Romans 8:28 tells that "And we know that God causes all things to work together for good to those who love God, to those who are called according to His purpose." Most memorize the part including "God causes all things to work together for good" but leave out the qualifiers at the end. Those qualifiers come in two parts: (1) do you love God? and (2) Are you functioning in the role that HE has called you to function in for HIS purpose? (1) If you love God then you obey God, you follow His commandments, including the 10 plus the additional 50 or so that Jesus gave us. The proof is in the pudding. Do you show God that you love Him by loving and obeying His commands in your life? If you love God you seek God - in everything! You seek His presence, His Word and His voice in every decision you make, not just the big stuff but the little stuff too. If He can't trust you to seek Him with the little, how can He trust you to seek Him about the big things He may have planned for you - seek Him FIRST! (2) Are you functioning in the role within the five-fold ministerial offices (Apostle, Prophet, Evangelist, Pastor or Teacher) that God has called you to? While it's true that some function in multiple roles, are you functioning in your true calling according to God's defined purpose for you? When you look close at the word of God the truth is revealed. When you include the qualifiers in quoting this scripture alone it becomes something quite different, doesn't it?